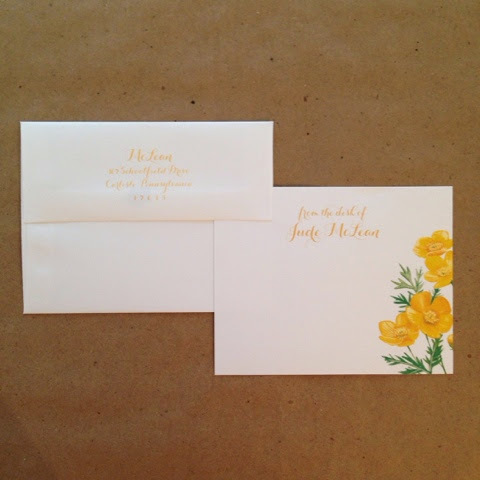 my mom asked me to design custom stationery for an old neighbor and great friend of our family a few months ago, and this is the finished product! this was back in march when all the snow insanity was happening, so i took the opportunity to enjoy a little bit of spring with these sweet yellow poppies. these simple, vintage style notecards will be coming to the etsy store soon!